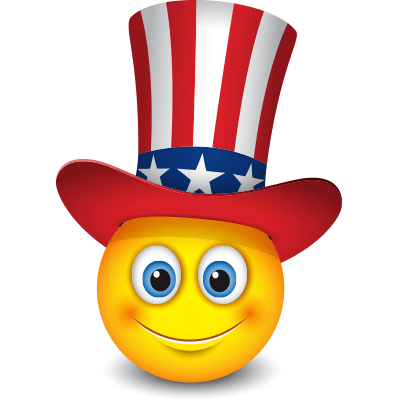 Show off your patriotic flair with this Uncle Sam smiley that brims with the colors red, white, and blue. Its stars and stripes are sure to attract attention to your post. Moreover, you don't even have to wait until the 4th of July to share this image with your network of friends and family on Facebook.